RCBS was attending Rotary District Conference D3410 & D3420. 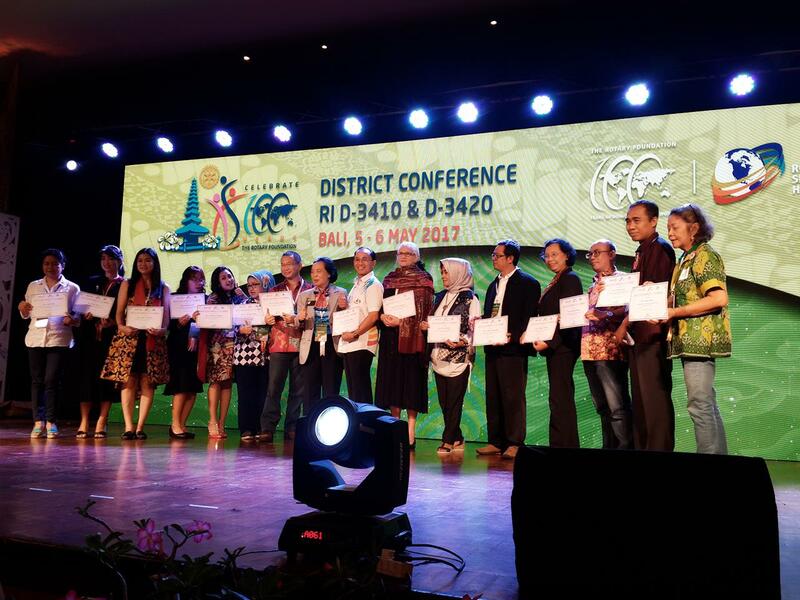 The District Conference this year gained very positive response from Rotary Clubs in Indonesia as well as Rotary Clubs in overseas countries. During the breakout session, RCBS received awards from the District Governor for giving the Highest Contributions to The Rotary Foundation in 2016-2017 term. The award was received by the President of RCBS, Marie Francoise.